My early maps were released separately, with embedded ART, VOC and CON files. 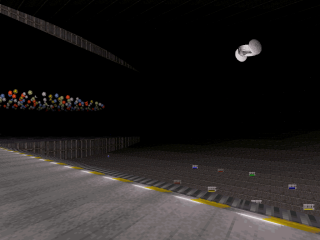 Later, I decided to group all needed files into a single GRP file leaving only the maps outside. 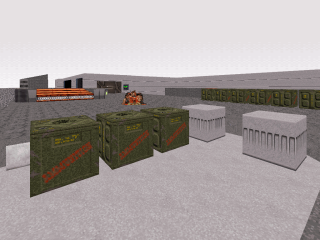 This compilation includes my Duke maps and mini-mods made between 2003 and 2006. 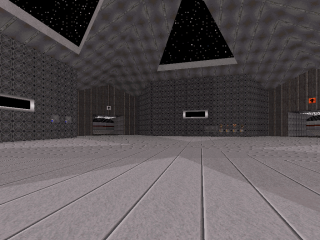 Although the maps aren't apparently joined by a single plot, they were developed in a similar fashion and were using the same set of textures, sounds and CON scripts. The CROSSROADS Series also contains lots of new actors. 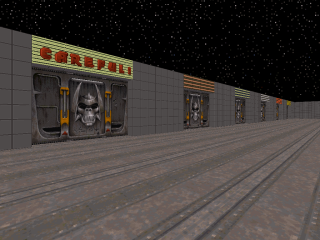 There are three playable levels and nine little test maps in the CROSSROADS Series. Everything except the maps themselves is packed into a GRP. 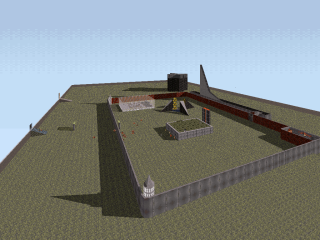 The levels are supposed to be launched via the "usep map" option. This compilation includes a lot of abandoned stuff. Later, Eddy Zykov used some of my art in his Sonic the Hedgehog 3D TC. Everything was designed and coded under Duke3D 1.5 for DOS. Despite that, play this mod only under EDuke32 to avoid problems with code compiling. Use either the software or OpenGL renderer, but keep in mind that everything was originally designed for the software mode. 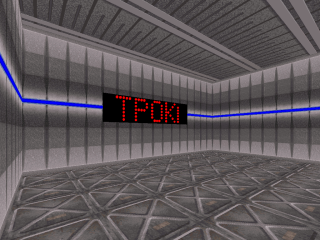 The original Russian localization was released on February 21, 2007. The international revision was made on December 10, 2009. I have translated the quotes and some images, but most of the ingame text remained written in Russian. 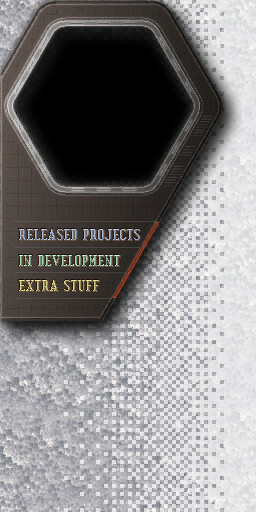 There are three standalone levels; this site has separate pages for each of them. Beginning was my very first Duke map. Onwater introduced some useractors. This map takes place in the Pacific Ocean, so it has a really huge exterior area. Crossroads is my debut of non-linear gameplay. 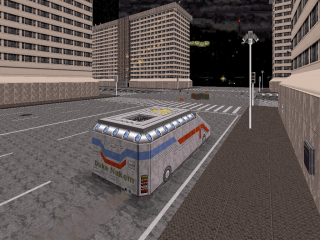 Also, this is my first map taking place in a city. 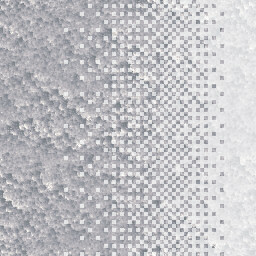 There are nine little maps made for testing purposes, demonstrations or just for fun. 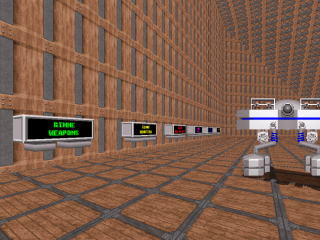 SUPERAMP.MAP - the experimental power-ups working as rapid-fire firearms with limited work time. These "superamplifiers" use the player's scuba gear to remember which amplifier is being used. This was a useful CON trick before EDuke has came. The amplifiers can't work underwater. 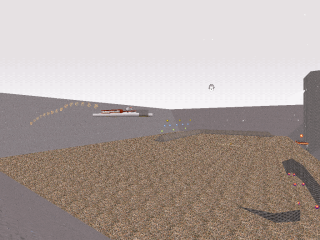 NTBRTEST.MAP - NTBR is a player-controlled robot. Duke may give it commands when facing to it and holding the use key. This map also has several funny "gimme" buttons generating various stuff. DRONE2TT.MAP - seven types of DRONE2 used in ONWATER. 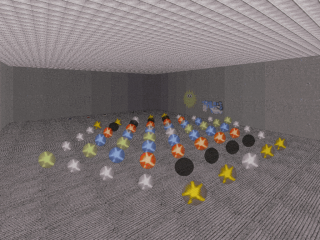 FUSIONST.MAP - "fusion balls" were my experimental actors. They get out from the destroyable cells and then move randomly, exploding when met the player. There are also the boomboxes playing looped tracks when picked up. It's not recommended to pick up more than one boombox. FUSBALL1.MAP - an incomplete, but funny map utilizing "fusion balls", a plasma cannon and an NTBR. 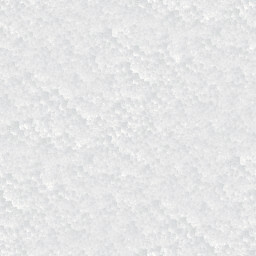 There is a nice snow effect as well. REEL.MAP - the last map I created for this compilation. It contains both the "fusion balls" and the "super amplifiers". 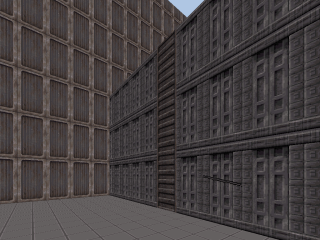 It was made in an early version of LEBuild, so don't mind the sloppy textures. 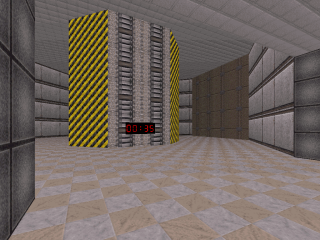 BOMBTEST.MAP - a simple multi-digit timer. The explosion is triggered by a special actor inside the bomb when the timer goes to zero. Unfortunately, the countdown continues even after the bomb has exploded. RSTRING.MAP - a creeping line with a few words in Russian. Such thing was difficult to code manually, because each "pixel" sprite must be spawned at a specific action count. UPDOWN.MAP - a ladder actor first seen in Starship Troopers TC. I borrowed the code from it to examine how does it work, but this ladder hasn't got any application in my maps, so I included this crappy demo.